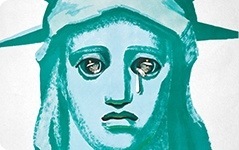 Effective propaganda relies as much on images as it does on words. This study day will explore the role of visual communication in influencing ideas and changing behaviour. 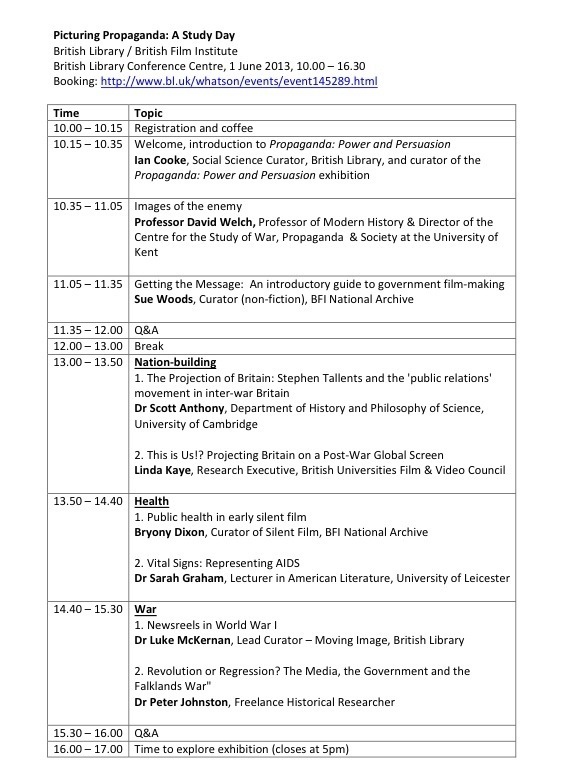 Academics and curators will discuss the history of visual propaganda, using fascinating (and sometimes funny) examples from the British Library and British Film Institute collections. The event is aimed at students, researchers and anyone with an interest in 20th century history, design, film or communication studies. Entry to the exhibition is included in the price. The morning session will give a brief history of visual propaganda, discussing film, posters, leaflets, maps, stamps and more. The afternoon session will focus on three themes that dominate 20th century propaganda: nation-building, health and war. Our speakers will explore the different ways that these themes have been dealt with in the last century, comparing the methods of propaganda and the public response.